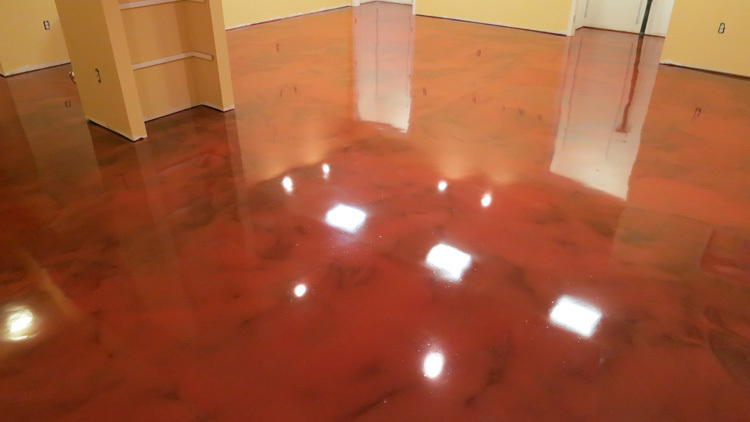 Polished concrete is growing in popularity quickly. Densifier is used during the polishing process to fill in some of the pores and harden the concrete slab. The harder or denser the concrete the less water can penetrate and stain the concrete. The most common densifier is lithium silicate. Densifier gets applied several times while polishing a floor. It is also often added to new concrete to harden the slab and help “seal” it to prevent the dusting. This dust that people see after new slabs cure is (calcium carbonate) the byproduct of calcium hydroxide rising to the surface and hitting the atmospheric carbon dioxide. Densifier will harden a slab during polishing & minimize dusting. If sealing the slab to stop water or oil penetration a more substantial sealer will be needed.